Riverside Energy Center Expansion project will have a capacity of 650MW. Image: courtesy of Public Service Commission of Wisconsin. The plant will be operational in 2020 and is expected to power approximately 500,000 homes. Image: courtesy of Dual Freq. The Riverside Energy Center also includes the now defunct Rock River generating station. Image: courtesy of Dual Freq. The proposed Riverside Energy Center expansion is a combined cycle natural gas-powered facility that will be part of the Riverside Energy Center located in the Town of Beloit, Wisconsin, US. The $700m expansion will be owned, operated and commissioned by Wisconsin Power and Light Company, a subsidiary of Alliant Energy. The Riverside Energy Center currently houses a combined-cycle facility and three small peaking generation resources, as well as the retired Rock River generating station. The new facility will utilise the existing infrastructure including access to natural-gas pipelines and the 138kV electric-transmission systems. Many of Alliant Energy’s generating assets are in transition and close to retirement. The current expansion is a part of the company’s modernisation plan to meet the growing energy needs of its customers. Construction on the new facility is expected to commence in 2016 subject to approval from the Public Service Commission of Wisconsin. Commercial operations are scheduled to begin in early-2020. The plant will power approximately 500,000 homes upon completion. The expansion project was announced in 2014 and was followed by public open house events in March 2015. The project received verbal approval from the authorities in March 2016 in response to a filing submitted in the previous year. Preliminary construction work is expected to begin in fall 2016 with major work scheduled for completion by early-2017. Construction on the facility is planned to be completed in 2019 with commercial operations planned to begin in 2020. The expansion will comprise of a 650MW combined-cycle generating facility, which will have an integrated solar photovoltaic (PV) installation to meet the internal power needs of the facility and also to improve the plant’s environmental profile. The proposed technology for the new facility includes a state-of-the-art, 2×1, combined-cycle generating system consisting of two combustion turbine generators, two heat recovery steam generators and one steam turbine generator. 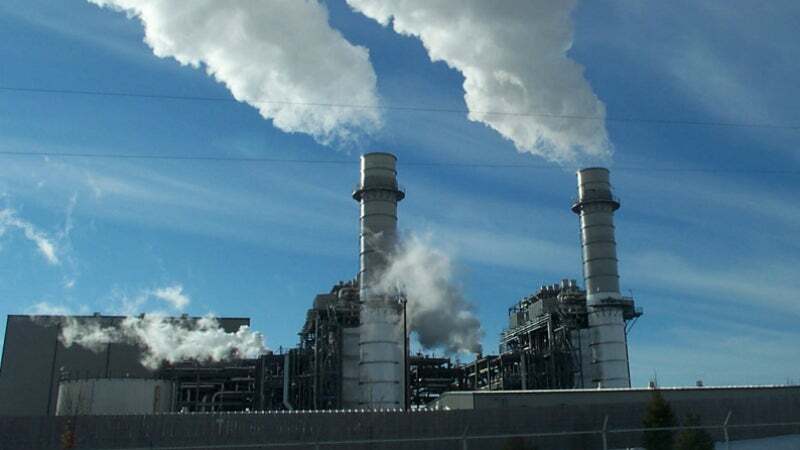 The heat recovery steam generators will be drum-type with triple-pressure configuration with emission control systems, which will be equipped with selective catalytic reduction technology to monitor the carbon monoxide and volatile organic compound emissions. The plant will be cooled through the plume-abated wet cooling tower. A cooling tower with plume abatement will be installed to lessen fogging and icing to enhance the plant’s performance. The solar PV installation will have a nameplate capacity of 2MW and will be part of the auxiliary power system of the new generation facility. An auxiliary steam boiler will be part of the set up to enable quicker start-ups and decrease thermal stresses on the equipment. A number of buildings will also be constructed, including control and administration building, water treatment building, combined warehouse and maintenance shop, auxiliary boiler building and other miscellaneous buildings. "The economic benefits arising during construction are expected to be worth $250m." Natural gas required for the plant will be sourced from the Chicago area trading hub. It will be supplied through the ANR-operated interstate pipeline system at the existing Tiffany East metering station and processed by conditioning equipments placed on the location near a gas receiving yard. The 20in diameter and approximately 1,500ft-long delivery lateral from Tiffany East Gate Station, which supplies fuel to the existing units of the Riverside Energy Center, will supply for the new facility as well. The capacity of the existing lateral is 9,500dth/hr, which will be able to meet the new requirements as well. The expansion is expected to generate 50 permanent jobs and another 1,000 jobs during each year of construction. The Town of Beloit and Rock County will receive $3m annually in utility shared revenue payments. The economic benefits arising during construction are expected to be worth $250m. Selnikel is the most experienced company in Turkey in the design and manufacture of: Water tube steam and hot water boilers, fluidized bed coal fired boilers, fire / smoke tube steam and hot water boilers, waste heat recovery boilers, industrial fans, industrial burners, pressure vessels, monoblock burners, and combustion management systems.